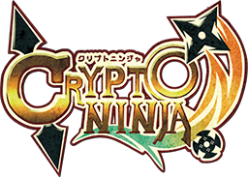 To play CryptoNinja for IOST, you need to create an IOST account. First, let’s install official iWallet Chrome extension. After the installation, you can find this black icon on the top right corner of your Chrome. Let’s move on to creating your IOST account. Top page is like this. Then, this page shows up. In this page, follow this process. Tick the box “Auto Generate”. Then, random PubKey will be automatically generated. Type your new Account name. If the procedure is successfully done, you will be sent to the page showing your Account name and PrivKey. （*Warning*）Never let anyone know your private key, ever. Next step is to import your IOST account into your iWallet. Push the black IOST logo on Chrome added before. Then , this small window shows up. If import succeeds, you will find a window like this.